This is such a simple idea, but it has had a profound effect on our family! Do you ever wonder if you are spending enough time with each of your children individually? Do you ever feel like you should set aside your work sooner in order to spend more time with your children or spouse? Do you ever feel like you really don’t know the people you live with? This little kit, combined with your resolve, could change the whole atmosphere of your home. 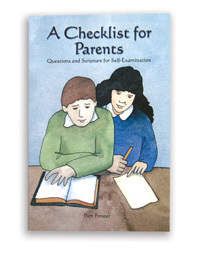 It is designed to help you set aside time each day for each of your children and for your spouse. It is simply two circles mounted on a piece of paper. The large circle is divided into sections for each child in your family. The smaller circle is divided into sections listing activities to share with your spouse. Around the outside of the large circle different activities are written. As you turn the circle each day, it will tell you what special thing to do with each person that day. Drawings to paste onto each section so that eager non-readers will know what they "get to do with Daddy today"
All you need is scissors, ruler, pen, paste, and a brad fastener!